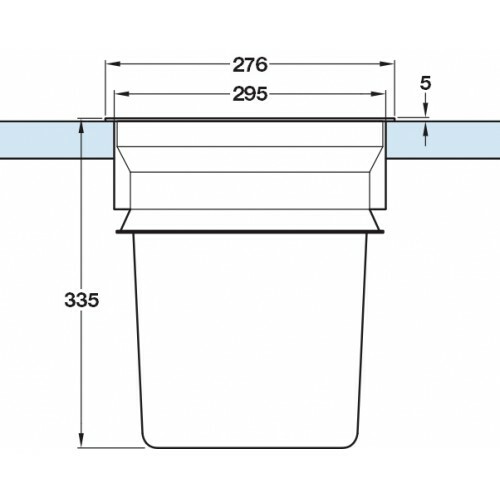 Kitchen worktop bin for recess mounting in a 276mm diameter hole. Installed height 335mm x rim 295mm diameter. 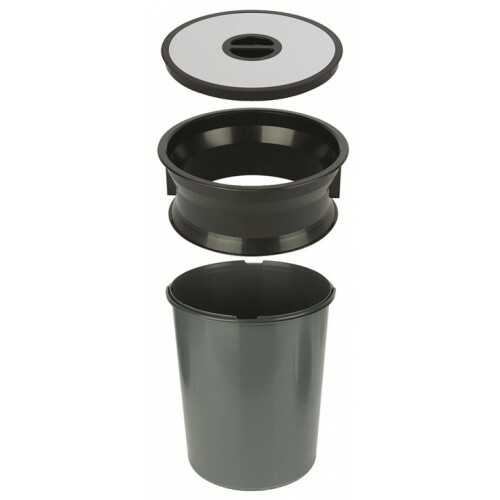 Black plastic ring with graphite grey inner bin. Polished stainless steel lid with black recessed handle. 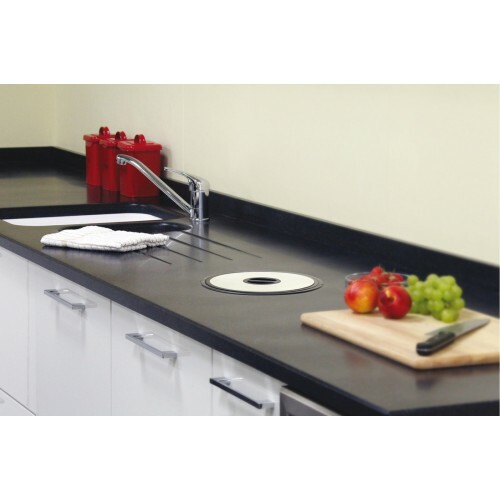 Inner bin handle allows the bin to be removed from above the worktop. For worktop mounting: 276mm hole. Bins included: 1x 13 litres.